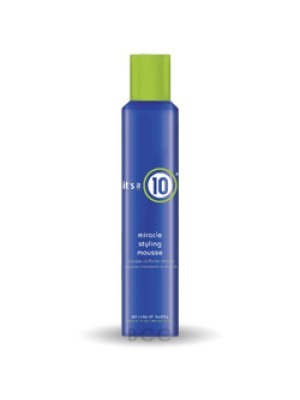 It s a 10 Miracle Styling Mousse gives you superior hold, is a workable formula, adds shine, adds lift and volume, is nutrient filled, strengthens hair, controls static, adds texture, is never crunchy, and is alcohol free. Directions: Shake well. Dispense a small amount. Emulsify in hands distribute evenly through hair. Style as desired.